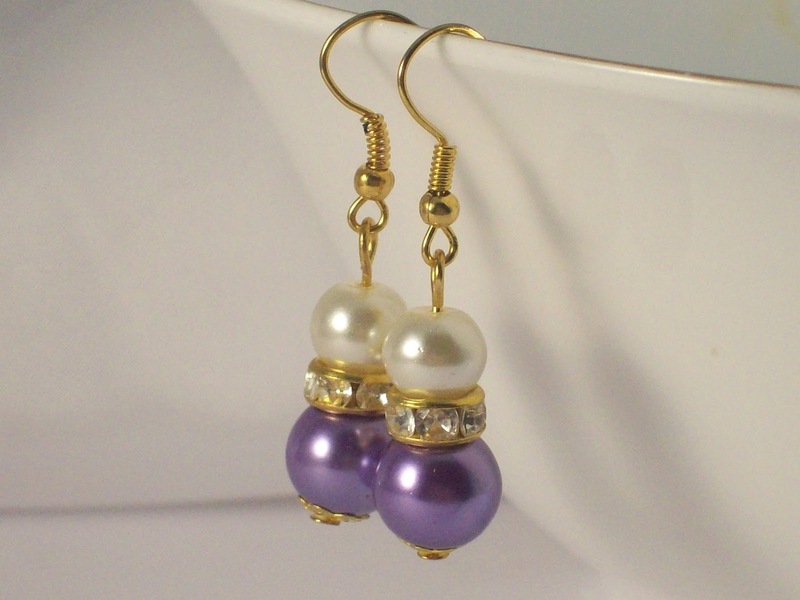 I like making bridal jewellery, I think it's because I like pearls and pearls are one of the popular choices for brides, when choosing their bridal jewellery. The days when brides only chose white, ivory or pink for their bridal colours, have well and truly gone. This year the most popular bridal colours are purple, mint green, gold, silver, red and navy blue. 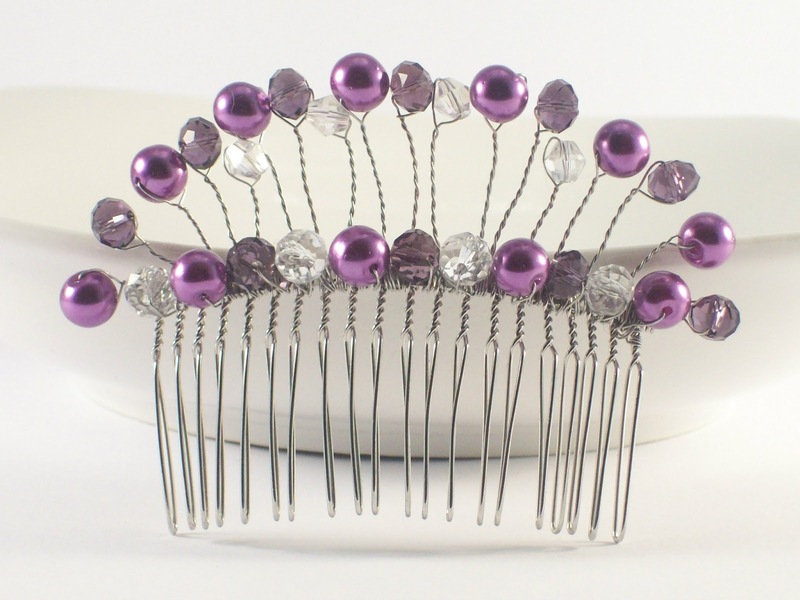 My favourite colour is the colour purple, so I thought I'd show you the purple coloured wedding items in my shop. 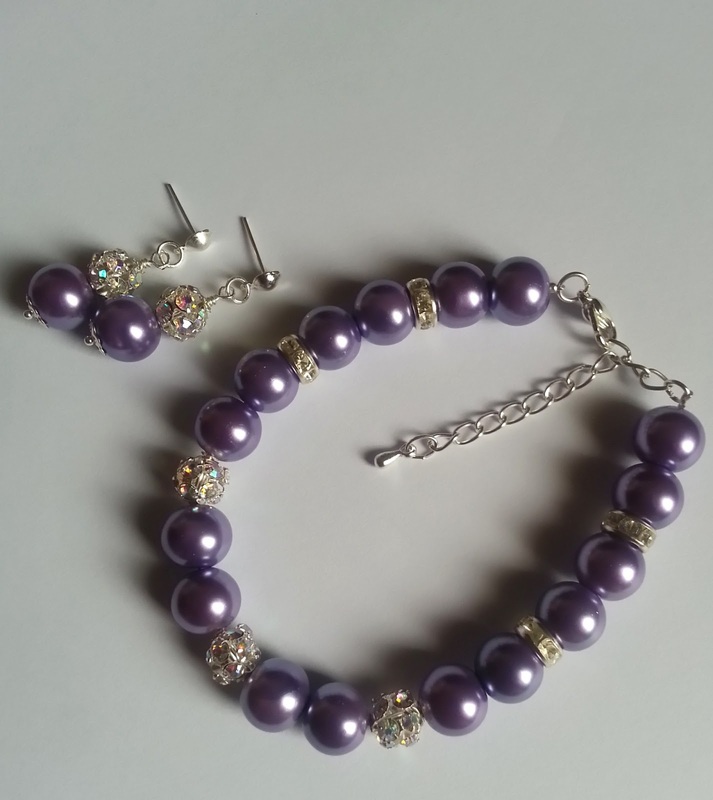 Here is a purple bridal set, consisting of a bracelet and earrings, made using purple glass pearl beads and rhinestone beads. For the necklace, I've added a gold plated chain. This is the bridal comb I made last week. These wedding pieces don't have to be just worn for a wedding. I think with jewellery, there are no rules, I've worn pearls with a pair of jeans, you can mix and match, do what you want to do, find your own style. 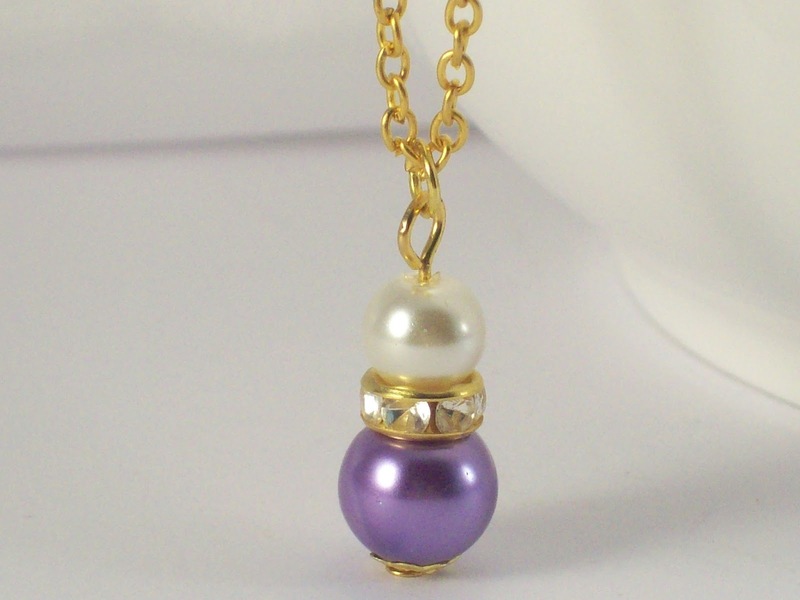 If your still looking for ideas about your what colours to choose for your wedding jewellery, do take a look at my website at www.michelleshandcraftedjewellery.com, where I have traditional bridal colours and the most popular bridal colours of 2013.